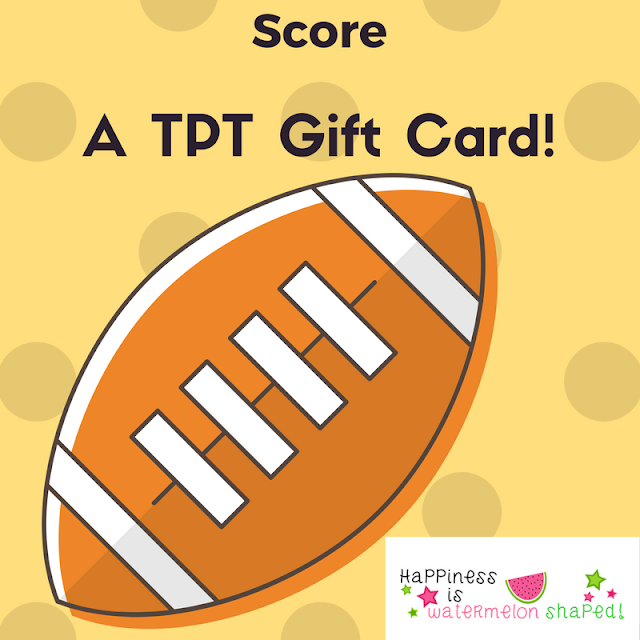 It's Time for You to Win $10 Gift Card to TPT! - HAPPINESS IS WATERMELON SHAPED! *See the bottom of the post for an update! I'm feeling so lucky and excited to offer you an opportunity to win a gift card to TPT ~ just think of all the new products you could try out, and hopefully, they'll be on sale ~ it's a WIN-WIN! If you're ready to enter, use the rafflecopter to the side. The contest ends at midnight on Tuesday 2/7. I will send you the code quickly so you can use your gift card! to create a CHAIN of Giveaways! Good luck ~ I hope you win! A nor'easter is predicted for where I live, and school has been cancelled. Here's what my front yard will look like in the morning! Amy S. won my first Rafflecopter! Thanks to all of you who entered! I have nothing new to report. I am just enjoying the month of February! Trying out a new diet in an attempt to start the year off healthy!